Hunger in Africa continues to rise after many years of decline, threatening the continent’s hunger eradication efforts to meet the Malabo Goals 2025 and the 2030 Agenda for Sustainable Development, particularly the Sustainable Development Goal 2 (SDG2). 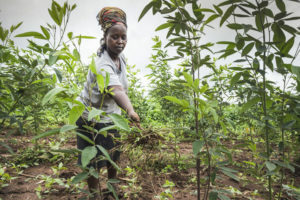 New data presented in the joint UN report, the Africa Regional Overview of Food Security and Nutrition indicates that 237 million people in sub-Saharan Africa are suffering from chronic undernutrition, derailing the gains made in the past years. The report, jointly written by the Regional Office for Africa of the Food and Agriculture Organization of the United Nations (FAO) and the United Nations Economic Commission for Africa (ECA), shows that more people continue to suffer from undernourishment in Africa than in any other region – evidence suggests that in 2017, 20 per cent of the African population was undernourished. 257 million hungry people in #Africa, 237 million are in sub-Saharan Africa and 20 million in Northern Africa. The annual UN report on food security and nutrition, indicates. 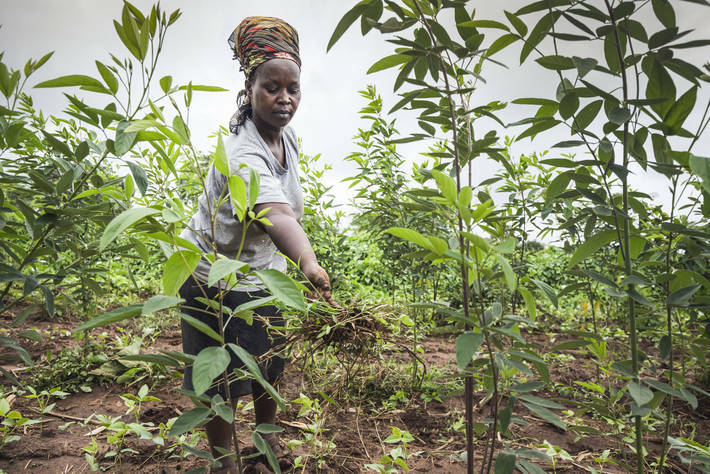 At the same time, there are significant opportunities for agriculture in developing intra-African trade, harnessing remittances for development, and investing in youth. Remittances from international and internal migration play an important role in reducing poverty and hunger as well as stimulating productive investments. International remittances amount to nearly USD 70 billion, about three percent of Africa’s GDP, and present an opportunity for national development that governments should work on to strengthen. The signing of the African Continental Free Trade Area agreement provides an opportunity to accelerate growth and sustainable development by increasing trade, including trade in agricultural products. Although agricultural intra-African exports rose from USD 2 billion in 2000 to USD 13.7 billion in 2013, they remain relatively modest and often informal. The report highlights that opening trade of food also carries risks to consumer and producer welfare, and governments should avoid using trade policy for multiple objectives but rather combine trade reform with additional instruments, such as safety nets and risk-mitigating programmes, to achieve food security and nutrition goals.